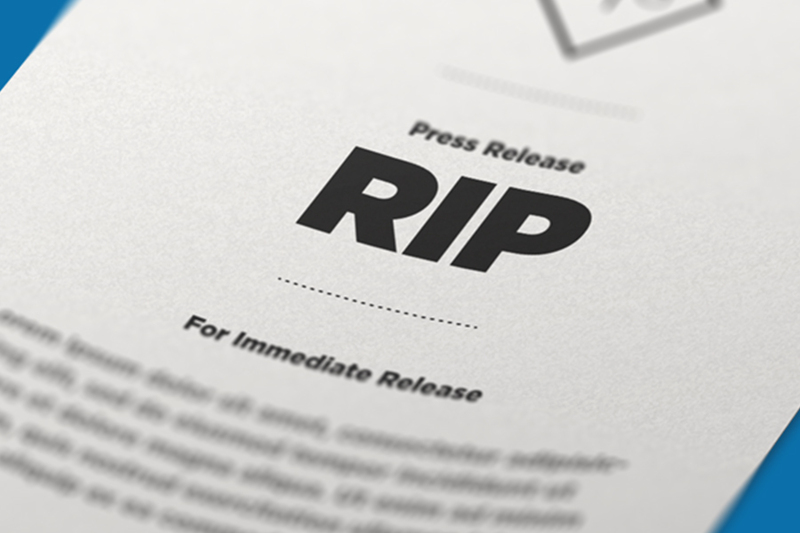 “The press release is dead.” How many times have you heard that stated, debated, retracted, and restated by public relations and marketing professionals? Since press releases got their start in the glory days of print, many digital-centric marketers have mentally cataloged them in the “do not resuscitate” file and turned exclusively to social media, blogs, and other content marketing tactics to publicize their brands. However, press releases have become something of a chameleon in the digital age. Not only are they alive and well, they can both support and integrate with all of the “modern” marketing efforts listed above – it just takes a progressive approach. You know that digital marketing funnel we’re so familiar with – acquire, convert, and nurture? Did you also know that press releases fit quite conveniently into each step? Acquire: Push an engaging release with strong CTAs and well-placed anchor links to drive traffic to your website. Since they’re ideally republished on a number of sites, press releases are great for promoting earned media and driving up your search rank. CTAs need to be delivered upfront and throughout the release. Most readers, especially busy journalists, probably aren’t going to read the whole thing – you have them for about 30 seconds. Prioritize and place your most important content first, and don’t forget to anchor link! Jason Khoury, Communications Director at Jive Software, says that he’s seen CTAs with a link increase traffic by 200%. Those are some good results. Press releases need to be a collaborative effort within your company. It’s important for your PR or marketing people to coordinate with your performance marketing team to determine ideal keywords for SEO and incorporate tracking codes into your anchor links. That way, you’ll be able to keep tabs on how much traffic your release is driving. When writing your headlines, stick to 100 characters at the most. Not only is this limit more easily consumable and enticing to readers, it’s tailor made for tweeting. And links aren’t just for body content anymore – don’t be afraid of placing them in headlines. Although you do want to provide key information as quickly as possible, it’s not always necessary to follow the typical “Company X, an insert jargon here, today announced insert great news here” format. Embrace the ongoing gravitation towards blogs and try getting creative. Maybe you can start off with a question, or mix it up and use your quote to lead. For more on keeping your PR strategy moving forward, take a look at PR Newswire’s webinar slides or compare your style to Skadeedle’s “Press Releases Dos and Don’ts” infographic.